At the Dec. 2018 CCLI workshop. The Community Center for Education Results data & research team presenting student survey results at a March 2019 workshop. The Kent-Meridian High School team, including Zack Lenihan and Elisa Aguayo, discussing their team's strengths and challenges. 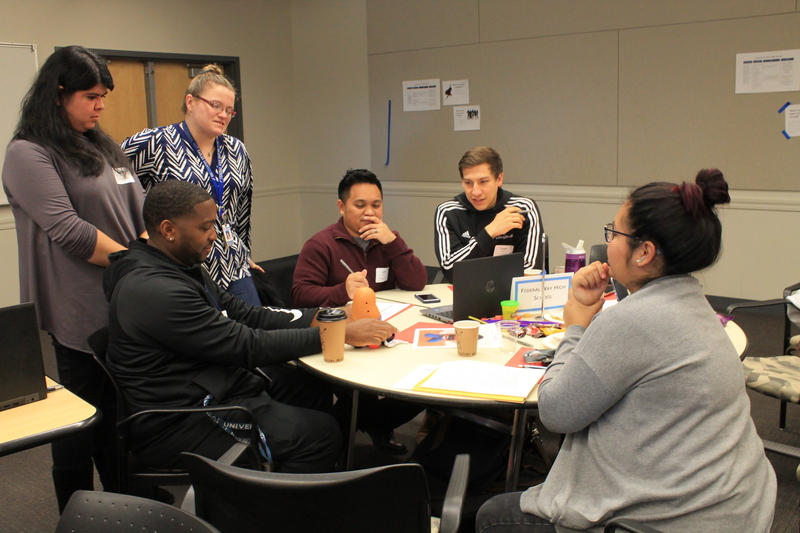 Shelby Namba, a Federal Way counselor, shares insights at a Dec. 2018 workshop. The Kent-Meridian High School team doing a continuous improvement exercise with a Mr. Potato Head toy. The Federal Way High School team doing a continuous improvement exercise with a Mr. Potato Head toy. The Road Map Project was created to address an alarming paradox: As the Puget Sound region attracts highly educated workers from around the world, it struggles to support local students prepare for the future. For young people growing up in the Road Map Project region of South Seattle and South King County, this inequity matters. These students—most of whom are of color or low-income—know that an education beyond high school can be a gamechanger for them and their families and communities. An early strategy by Road Map Project partners was to work directly with counselors by providing them with professional development opportunities. “Counselors enjoyed connecting with each other, but something we consistently heard was how they couldn’t make changes around college and career systems because they lacked support from school leadership and had too much on their plates,” said Community Center for Education Results college and career success director Kirsten Avery, who goes by Avery. Her team also learned that counselors felt isolated while carrying the weight of helping students prepare for life after high school. 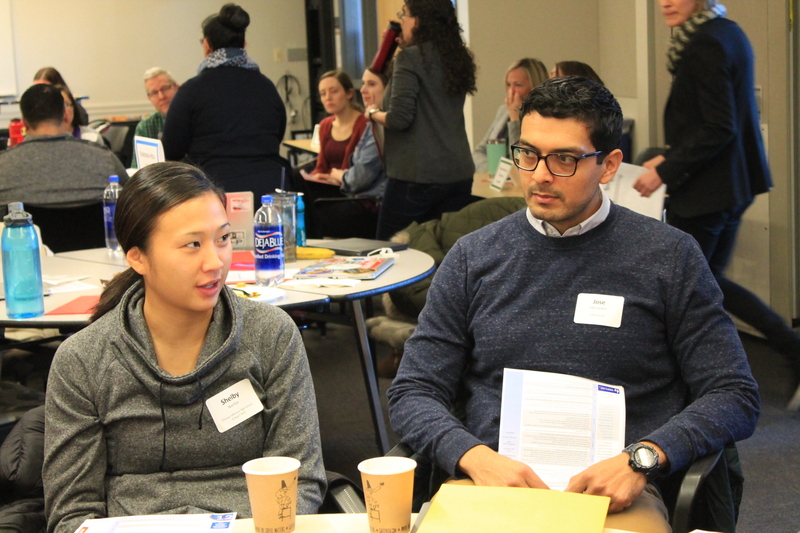 Today, 80 percent of newcomers to Seattle are college degree holders, yet only 30 percent of Road Map Project region students have earned a college degree or career credential by their mid-twenties. By next year, 70 percent of all jobs in Washington State will require postsecondary education of some kind, according to research by the Georgetown University Center on Education and the Workforce. Road Map Project partners are looking to new approaches and solutions to ensure more of the region’s students earn a credential. 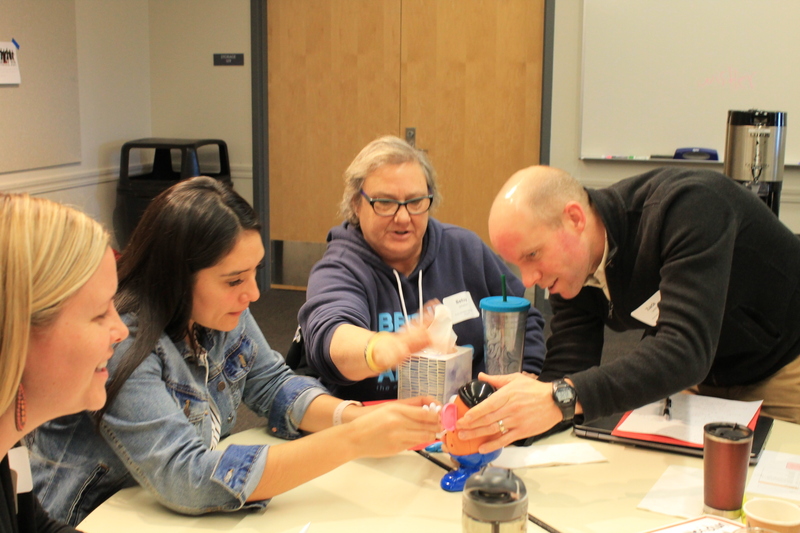 Taking past lessons into consideration, the Community Center for Education Results, in partnership with the Puget Sound College and Career Network, launched the College and Career Leadership Institute (CCLI), which is about to wrap up its second year. As in past efforts, CCLI aims to support schools to significantly increase the number of students who earn a high school diploma, enroll in a postsecondary institution, and are on track in their first year to earn a credential for a well-paying job. Unlike past efforts, CCLI is not only for counselors, but also other educators within the school building. Another new strategy is working with schools to set goals, review data, identify root causes, test changes, and make improvements—while incorporating discussions about racial equity and centering student voice along the way. Focus group data from another regional initiative showed students consistently saying there was a mismatch between what they want from college and career prep and what they actually received. The survey revealed the need for more robust supports. “It’s important that it’s not just the labor market saying we need more students completing training beyond high school, but it’s also students and families saying that’s what they’re aspiring to and expecting,” said Avery. A feature of CCLI is the integration of student voice to help schools understand how they could better serve students. 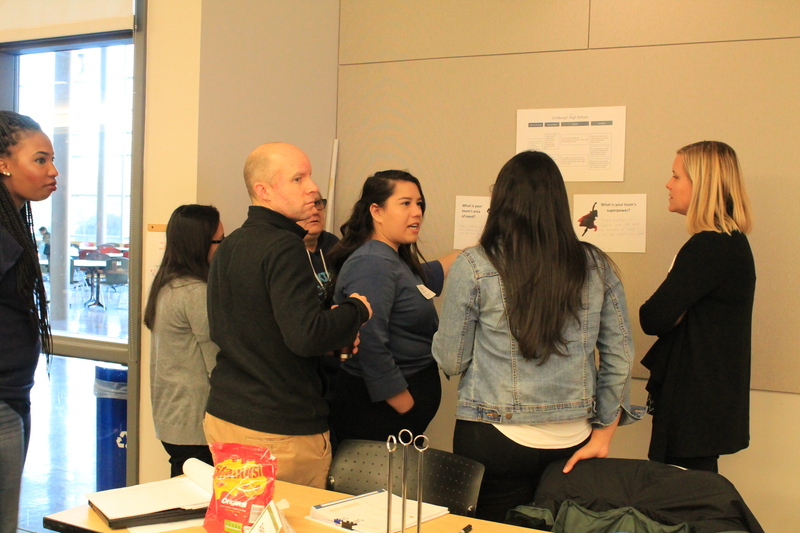 In its first year, alumni of color from Road Map Project region high schools were invited to share their experiences so that educators could learn how systemic biases and supportive environments impacted student success. 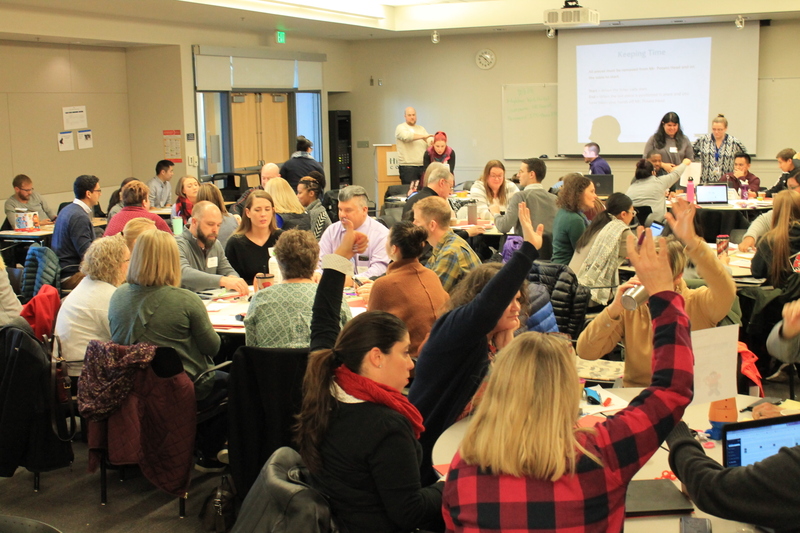 This year, educators are compiling youth insights from survey data and listening sessions to design meaningful, high-quality High School and Beyond planning processes. One of those recent surveys was with over 5,000 Road Map Project region high schoolers. It showed nearly all students (96 percent) have a strong desire to attend college or a training program after high school. These students also said that they need better supports to understand how to pursue their pathways of choice. When asked a series of questions about their college-going knowledge, students said they have a good understanding of course requirements and study habits needed, but felt less confident about college applications, resume writing, scholarships and financial aid, and alternatives to four-year schools, such as two-year programs and apprenticeships. Half of students of color get such information primarily from their schools, the survey showed. While white students say they lean mostly on their families for help, students of color rely more on their teachers, school counselors, and college and career specialists. Students who would be the first in their immediate families to go to college rely more on school staff, regardless of race. CCLI currently serves a cohort of 11 Road Map Project high schools—which educate nearly half of South King County’s high schoolers. 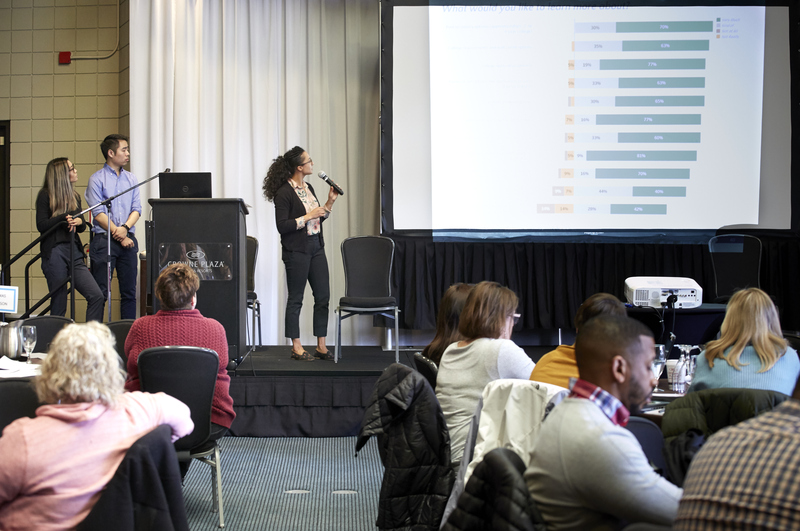 A delegation of educators from each school, referred to as a “school team,” participate in workshops and receive guidance and facilitation to review data, plan strategies, and share best practices. CCLI requires school teams to be made up of educators with diverse functions, such as counselors, teachers, college and career specialists, and administrators. While each person has a different role and responsibility, the plan is for them to work in concert so that students keep achieving after high school. Elisa Aguayo remembered the siloing of roles at Kent-Meridian High School, where she is a student achievement specialist. Counselors were considered the primary stakeholder and contact for college and career readiness, she said, and specialists or community-based organizations provided additional supports. “Being part of CCLI and with the creation and establishment of a [school] team, it’s changed. Not to say that counselors are not doing the work, but it’s provided not only additional support for students, but for all staff as well,” she said. Educators provide students with a range of information about postsecondary options and the academic rigor necessary to prepare them for any pathway. Educators build meaningful relationships with students and create a welcoming school environment. Educators integrate college and career information into the school day. CCLI supports school teams through a continuous improvement process: understanding data on student outcomes, using student feedback to set goals for change, and then testing those changes to ensure they actually work. Learning that so many of their students want to go to college has empowered some educators to better advocate for their students. Zack said CCLI has been eye-opening, rewarding, and transformative. “Eye-opening in the fact that I really wasn’t clear on the bigger picture of what students in and throughout the Road Map Project area wanted after high school,” he said, adding he was previously unaware of the direct enrollment and persistence rates in the region. Zack emphasized that learning more about students’ postsecondary aspirations made it clearer how the challenges they face are systemic. 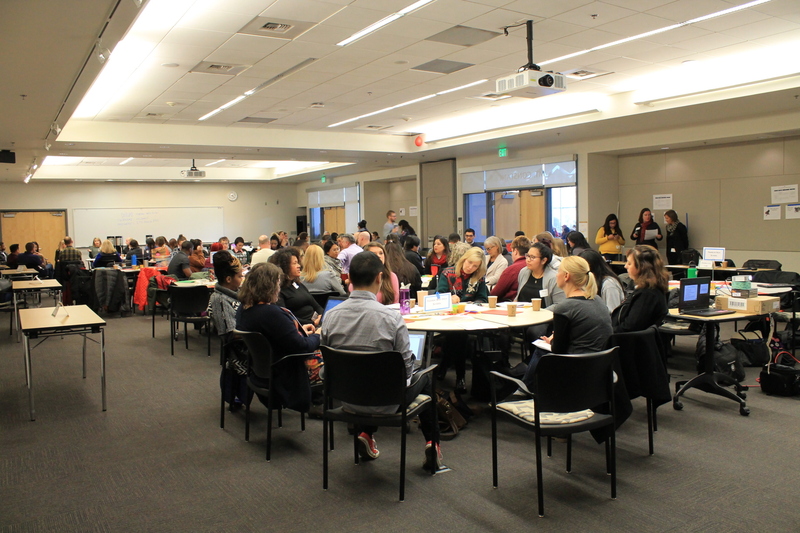 CCLI will continue to grow, with a second cohort of high school teams launching in the 2019-2020 school year. It will sustain its core vision: that centering those most impacted by education inequities, fostering stronger connections, and developing approaches through a scientific process will build environments where every young person in South Seattle and South King County can thrive in their education, communities, and life.